Collection of 200 TOUGH Questions, (plus 100 bonus questions) so you can build the muscle you need before you take the REAL PMP test. By Answering 200 questions you will discover several knowledge gaps, which other practice tests would not have offered. 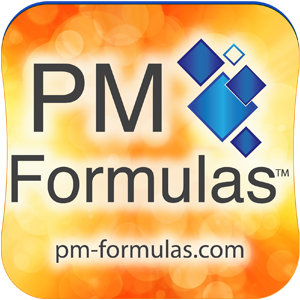 Do you want to buy thousands of PMP questions and waste your time.? Quality over quantity is our mantra. 5 question sets, with special focus on weak areas like Risk management , Procurement management and Time management questions. Some really good math questions. Detailed explanation of each answer. Lot of situational questions , which will help you as Project manager even if you were not taking PMP Exam. Some questions will provoke thought and you will start thinking in the direction which may be helpful in the exam. Questions are similar to FREE PMZilla Tests. however the book is much more improved, with detailed explanation and complete 200 questions. THIS IS ONE INVESTMENT YOU WILL NEVER REGRET. !!! 1. Make the payment and the ebook will be emailed to your in 8 to 24 hours or less. Average response time is 3 hours. 2. For Faster processing after payment send email to admin@pmzilla.com mention your Transaction number. Price for Indian Users is Rs. 690. You can deposit this amount in ICICI bank current account (100705000142 , IFSC Code : icic0001007 ) Name: Tech Point India, Bangalore. You can use online transfer or cash deposit. Send Email to admin@pmzilla.com once you have sent the money. PMZILLA tough 200 question the real champion out of the lot. Some questions are close too. The compilation is great and comprehensive. I am able to score 62 in the bonus 75 and 69 in the tough 200 questions. this is the last questions I took and it is ever-lasting experience. Kudos, for the great work. 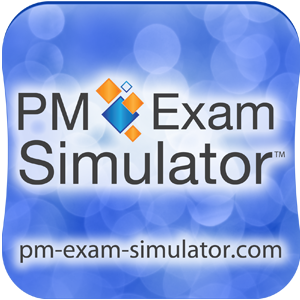 Before exam I have taken PMZilla Final PMP Exam (200 tough questions…. Guys, the questions compilation is excellent, I endorse this product, as benefit-cost ratio is too high. PMZilla tough questions which was really tough and while doing I was again forced to read PMBOK. Its a really eye opener. Good collection of questions. Key to success in PMP, I feel, is practicing lot of quality questions but not just from single source. PMzilla 200 tough questions gave me the required patience to tackle the big day. PMZilla 200 Tough Questions: Good One. Solved one time. My regret is that I discovered PMZilla too late! ..... the quality is good. Worth buying. 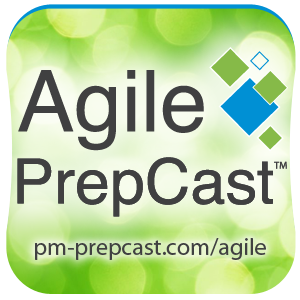 Few questions are pretty similar to the real PMP questions, .... I've learnt quite a number of concepts that helped me to score in PMP.... The detailed explanation in the answer also helped correct a lot of my thinking process, which help me tremendously in gaining confidence and the right "tactic" when choosing the most appropriate answers in PMP. Testimonial by Ram - Says PMZilla Tests and Rita are enough to pass the exam. Imran I passed PMP today morning. The PMZilla's EBook helped me to answer difficult situational questions. And many more of such you will find on this website. Other Related products you will love. PMZilla Final PMP exam test quility is excellent superb. It clear concept . the exam was a very good review of the PMBOK material. Yesterday I made the payment through Net banking. But didnt get the questions so far. Please let me know ? I sent email to admin also. PMZilla test Quality of questions is really good and it forces one to think through the question, and it attributes towards better preparation since it tests concepts at a finer level Also its good to clear the concepts. I cleared the PMP yesterday. 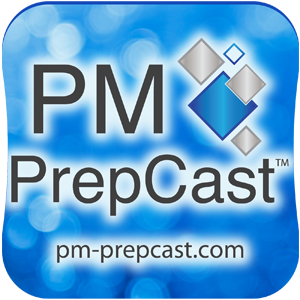 Only after going through PMZilla's FINAL PMP EXAM, I got the confidence that I can take the exam and pass. Well prepared questions and answers. I am glad I bought the questions. When will I get my exam? I purchased the exam a few hours ago and I'm ready to take the test now. When will I get it? I also bought the PMzilla exam papers thru google account few minutes back. When should i expect the papers to me? Even though turn around time is 24 hours, all orders are usually cleared in 4 to 6 hours. Thanks, are the papers emailed to me or sent thru hard copies? please also confirm. This exam is really tough! This was the last sample paper i did before my examination and i scored 48%. I did not make this a deterant as I went into this practice exam with the mind set it would be near impossible to score really high based on what has been advertised. Will this be the latest one for late Feb test? I am taking the test in late feb, should I purchase this one now or wait until later? Any ideas on this admin? As recommended, first you should complete the readings and some FREE practice tests before you take the PMZilla test. If you have done that you can even buy it now. Decided to go ahead and purchase the pmzilla exam so I can have it on hand whenever I feel the urge to sit down for a 2 hour test. After I finish the other tests of course. Thanks for your help, support, and guidance Admin. hi, i just bought the book, when will i receive it? I just recieved my ebook. It says that it is registered to 1 user only. Does that mean that I cannot put this on my computer AND iPad? Just made a payment. Please send me this book. Please send me the exam. Thank you. Done the payment and sent email yesterday, could you send the ebook? I've purchased using Paypal (acc: hieudt84@gmail.com) yesterday. Can you tell me when will I receive material ? This questions really helped me to clear the exam on my first attempt. I have bought the questions, can you please send me the book ASAP. I made my payment through Paypal on 1st March, but i did not receive any e-mail or the questions yet. can you please provide the book/document ASAP? Not sure if you are getting my emails. The ebook was sent on 5th March itself, check you spam box , I can send you again. I have paid for 200 questions ..Please email me the same to hdshar@gmail.com . Is there an alternate payment method to google wallet and paypal? I have just paid for the ' 200 tough questions' on PMP, pl expedite the despatch. I would like to buy this PMZilla Final PMP Book and have sent you a mail to admin@pmzilla.com in this regard. Could you please reply asap.